Die-cutting for plastics, leathers, papers, laminates, metalized stock and more. 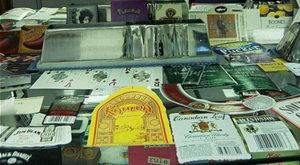 B&H Dies cut many types of materials, including plastics, papers, laminates, metalized stock and more. Our business began in 1985 in Columbia, Illinois. Being a small family-owned business, we take advantage of our low employee turn-over rate, which allows us to continue to produce a consistent product year after year. Our manufacturing process uses American-made products and every die made we make is designed to your specific needs and cutting applications. Various grades of steel may be used to fit your application and budget. We provide our customers quick turns and offer same-day service. We understand time is money and we do our best to ship re-sharpened dies out the same day that they are received. Rush orders are also accepted. Every die made we make is designed to your specific needs and cutting applications. Using computer controlled water-jet and EDM machines, we are able to cut down production times and also allow tight tolerances for the cutting edge. Then, through our sharpening process, we are able to put the finishing touch to the edge, allowing for the best edge life and label quality. B&H Machine, Inc. started as a small machine shop tucked away in the woods in 1985. 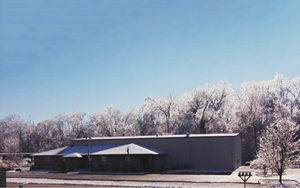 By the early 90’s, we outgrew multiple additions to our building and rebuilt in Columbia, Illinois. Not only did this move allow for greater work capacity, it helped our turnaround on sharpening. At B&H, we do our best to meet and exceed our customers needs. We take pride in getting the work done as fast as possible without diminishing our superior quality. Being a small business, we take advantage of our low employee turn-over rate, which allows us to continue to produce a consistent product year after year. Contact us with questions, or submit an order. We are open Monday through Friday 7:00am to 3:00pm, should you have any questions to ask a specific person.